Choosing to have a hardwood deck installed on your property can be more of a financial investment than other material types but also provide you with many benefits that other choices simply don’t. When looking for experienced professionals who can provide you with the best results for these luxurious materials, making the call to the experts at Ogden Decks will bring you a wealth of design choices, reliable installation and a finish that you won’t be able to resist showing off to friends and neighbors. One of the biggest benefits that comes with choosing hardwood as your decking material of choice is the immediate noticeability in the realm of quality it brings. Even though there are many materials out there that provide you the means to copy the look and styling of hardwood, the real deal is unmistakable and choosing the experience of Ogden Decks for your deck building needs will ensure that this option is given the best treatment when it comes to installation, providing you with a beautiful deck that begs to be enjoyed, shared and made the most of throughout the year. When having a deck installed, there are many benefits that we think of. We picture the social engagements, the time spent resting and relaxing and the barbeque season hitting with our homes well-prepared. Things we don’t think about are dogs’ nails wearing on the wood, hailstorms, high heels and other events that can lead to surface damages. When choosing hardwood as your material of choice for your deck installation though, you can continue not to worry about these items, as this material choice is much better at standing up to the wear and tear and continuing to look amazing within your property. As the weather changes, various building materials will expand and contract with the temperature differences. 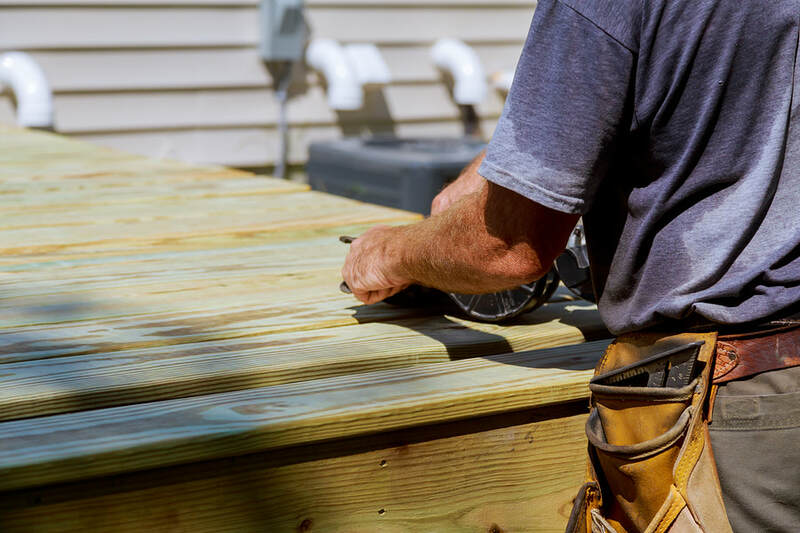 With certain materials, this can lead to bending, warping and loosening of the various materials within your deck, eventually leading to a need for repair or replacement. When choosing hardwood as your building material of choice though, you can depend on a material that has the means to stand up to these affectations, requiring less treatment and maintenance. This alone, over time can save you the overall cost difference between quality hardwood and other material choices you can make for your deck building needs. Not only does hardwood have the means to stand up to issues caused by weather but also provides you with a wealth of benefits when considering other possible factors. Even if you have a ground level deck installed with hardwood makeup, you can count on less damages caused by mold, mildew, insects and otherwise. When looking for a material that brings you beauty, strength and the capability to last a lifetime surrounding your Ogden area home, choosing hardwood from the city’s best deck builders will provide results. All it takes is a simple phone call to get the process started for your home.